We strive to improve all cyclists performance from beginer to elite.Whether your goal is to ride sportives or win Professional races we love working with all involved. Watts Up Performance provides plans for everyone involved in cycling. Our most popular plan is the premium plan which offers a full custom build taking in all aspects of time and outside life. This includes TP premium which includes all the benefits of full file analysis. Communication is also encouraged by all clients. 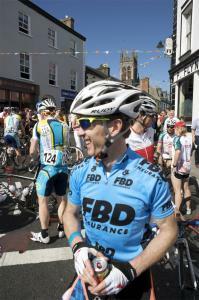 Watts Up Performance was founded by myself, Andrew Roche after spending many years racing at international level. With 30 years racing experience including 7 years as a professional I wanted to be able to share my wealth of knowledge with others, and create some amazing cycling related services. I started road racing back in 1986, luckily I took to it quite quickly and moved up from riding the junior world championships to racing all over the world in national teams and eventually professional teams. My best years were spent in Belgium in the mid ’90’s riding all the semi classics and learning the ropes in the big league. I have been coaching riders now for 10 years, clients have achieved national titles, sportive targets, and for some, lifestyle targets of improved fitness. I really enjoy working with all athletes with a variety of different goals to strive toward. Some highlights of my own racing career include competing in 7 Commonwealth games, winning the FBD Rás, winning the Irish TT national championships, as well as over 100 wins in my career. I now enjoy riding with my 2 sons, and enjoying the bike in ways I never used to when racing. I certainly don't plan on stopping any time soon, and in that time can hopefully help many more athletes achieve their goals. Success. Coach Andrew Roche has been notified of your message.